Another performance from our last Remedy Raw night a performance from the superb Chimene Suleymann listen and enjoy. Next Remedy Raw Wed April 25th more details to come. 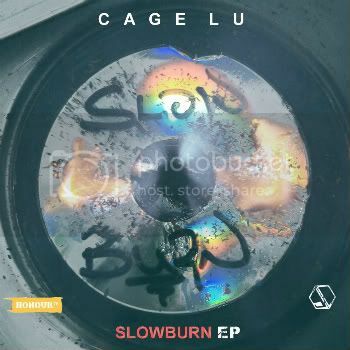 UK Rapper Cage Lu drops the first track from his new EP “Slow Burn”. Teaming up with Kensaye again on production its a quality beat with Cage delivering dope rhymes as usual. Looking forward to the full EP dropping soon. Obenewa dropped this a couple of weeks ago and if you haven’t seen it already definitley worth a watch. A wicked take on one of the highlight tracks from Chris Brown’s F.A.M.E album. Obenewa full of class as always enjoy! A quick clip of the guys in action to remind everyone about the Divageek album launch this Thursday night @ C.A.M.P Shoreditch. I think i’ve made it quite clear on how much i love these guys and live there are very few better. Its £6 on the door and gonna be an UNBELIVABLE night if you love Soul music make sure you are there. 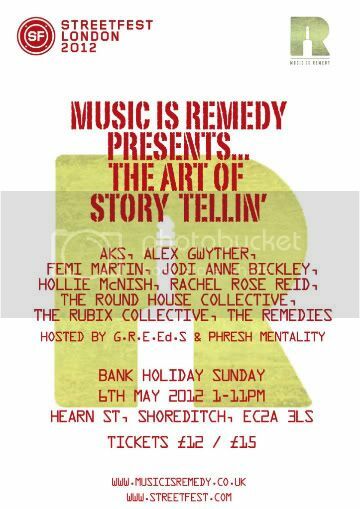 Music is Remedy Streetfest Lineup announced!!! So there’s our final line up for the Music is Remedy Stage @ Streetfest. Our Art of Storytelling show will feature some of the best poets, lyricists and storytellers around. The names are all there not to mention the likes of Dean Atta, Bridget Minamore and Deanna Rodger who will all feature in the Rubix Collective set. Stage times have not been announced yet but we will have show throughout the day and let’s not forget there where will loads more going on on the day. Earlybird tickets are still available here and for more details about the day head to the website. Makesure you come join us! Highlights from this months Wired featuring footage from Remedy Favourite Louise Golbey. The next Wired is May 14th @ Concrete should be another quality night. UK HipHop royalty TY talks about his career in the music industry to date and his plans moving forward. The most amount of respect for this man he consistently puts out quality content that doesn’t conform to mass appeal but brilliant musicianship. His views are refreshing and inspiring to hear and anyone who does have anything they can contribute towards his forthcoming documentary get involved and reply to the links at the end of the video. Last week we held our first Remedy Raw of the year down at The Ben Oakley Gallery Greenwich Market. It was an awesome night with some quality performances and a wicked atmosphere. Over the next week we’ll be dropping clips from each of the performers the first is a Remedy favourite from day. Lizzie Nightingale performed new songs for the first time from her forthcoming EP. Her vocals were sensational and the crowd loved it enjoy. Big thanks to Omar Jennings for providing the visuals. Next Raw Weds April 25th Streetfest Preview more details to come! Another singer that featured at Raw last week was the brilliant James Craise. He recently caught up with the guys at LinkUp TV to perform his version of Drake’s “Marvins Room”. It aint half bad keep your eyes on this guy.